Museum Tours are by appointment only. Please call (805) 689-2402 to schedule your tour. There is a $15 donation per person for tours. The Mendenhall Museum is a private collection located in California’s beautiful Santa Ynez Valley. 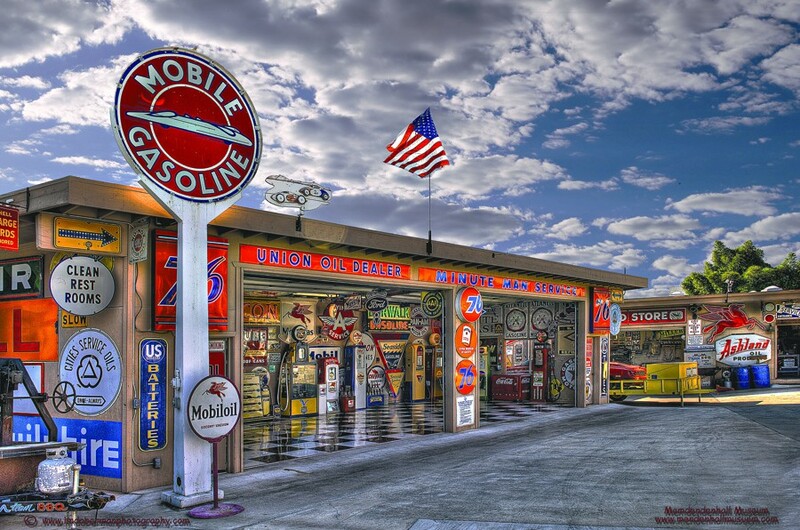 The museum has one of the west coasts largest petroliana collections including gasoline pumps, globes, and porcelain gas, oil, & road signs. There are also race cars, racing memorabilia, license plates, gas & oil items, and other miscellaneous antiques. We will schedule private tours for individuals and clubs. We host special events, such as weddings, birthday parties, class reunions, family reunions, anniversary’s, etc. We also have car and motorcycle club gatherings.